Don’t let the business clothes fool you! 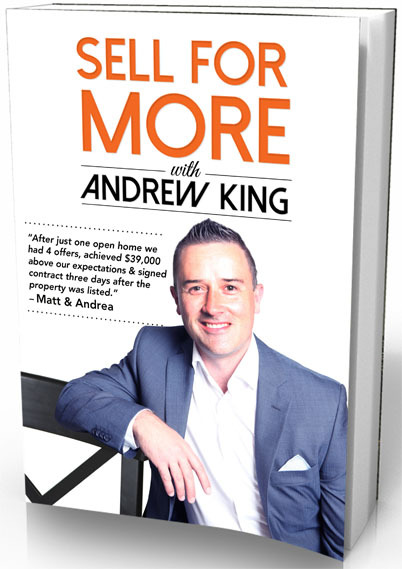 Before entering a life in real-estate Andrew was a tradie and has always had a thing for property. His experience has given him the knowledge and contacts to not only offer you invaluable advice but also save you time and money. Having been “hands on" with large and small renovation projects, smaller to medium sized developments of land and unit complexes, Andrew’s knowledge and experience makes the buying or selling process a lot less stressful for his clients. His records or accolades interest him far less than how he can work with you, on the best strategy, to achieve the best result possible for you, because at the end of the day that’s all that matters. Andrew has lived on the north side of Brisbane, with his young family, for 15 years and has an in-depth knowledge of the area. As many past clients have said, Andrew will take the time to listen to you and tailor quality advice specific to you and your situation to get you moving. Andrew is approachable, has a love for life and enjoys a laugh so if you are after some help or advice without the pushy sales talk, call Andrew in for a chat today.